Bennigan’s has long been one of the most popular American restaurant brands across the globe. Its focus on chef-driven food, innovative drinks and friendly Irish hospitality has helped it stand apart from other concepts that have come and gone over the years. 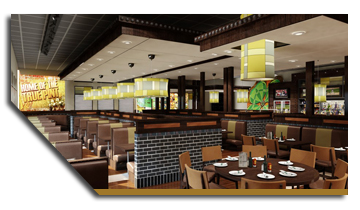 On St. Patrick’s Day, Bennigan’s – the largest Irish-themed casual dining brand in the U.S. – executed a Master Franchise Agreement with Baila Group of Companies to open four locations in all the major cities of the Islamic Republic of Pakistan. The first of these locations is expected to open within a year’s time in Punjab, Pakistan. The current plan is to expand into the Islamic Republic of Pakistan, but the Baila Group of Companies is also looking into the growth and demand of bringing Bennigan’s into other central Asian markets. The Baila Group of Companies is based in Sialkot, Pakistan. Its main business includes agriculture, rice processing and export, and ceremonial halls. The owners of the Baila Group also have a prominent presence in the construction industry of the state of Qatar. The menu in the new restaurants will be strict to Pakistani culture and religion. The entire menu will be Halal; pork and alcohol will not be offered. The chef-driven neighborhood restaurant chain renowned for its generous portions and Irish hospitality is redefining casual dining across the United States and in locations throughout Mexico, Central America, Asia and the Middle East. Since the end of 2012, the company has opened new franchise locations in Clarksburg and Frederick, Md. ; Sacramento, Calif.; Melbourne, Fla., Lexington, Ky.; Veracruz, Mexico; Larnaca, Cyprus; Obarrio, Panama; Doha, Qatar; Dubai, UAE; and a corporate location in Panama City, Fla.
Additional restaurants are planned for Florida, Tennessee, Texas and South Carolina; and internationally in Mexico, Central America, Bahrain, Australia and India. 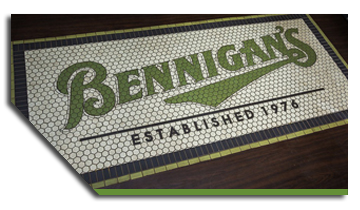 For your nearest location, menu, hours and additional information, visit Bennigans.com. You’re with friends at Bennigan’s. The American Legend! Bennigan’s is a high-energy neighborhood restaurant and tavern that is redefining casual dining. With chef-driven food and warm, friendly Irish Hospitality, this Legendary brand delivers memorable dining experiences to every guest, every meal, every day. Every member of the team “bleeds green” and demonstrates a 25/8 focus to support its franchise community. Bennigan’s focus on reinvention, flexible prototypes, innovative food, Legendary service and other sales-generating initiatives has resulted in explosive growth both domestically and internationally. For more information, visit bennigans.com or call 855-GOT-BENN.